After a serious injury, you may see your entire life change. Some injuries have long-term consequences, including permanent or long-term disability. From traumatic brain injury that challenges your ability to take care of your regular daily activities to paralysis, amputation, or ongoing pain that makes it impossible for you to take care of highly physical tasks, long-term disability can totally alter your daily life. Unfortunately, many people suffering from long-term disability find themselves fighting to get the funds they need to cover their daily living expenses. Their injuries occurred through no fault of their own, but they have not received the compensation they deserve for those injuries. Many sufferers even have long term disability insurance that simply refuses to cover their needs. If you suffered injuries that led to long-term disability, you may need a long-term disability lawyer to help you file a claim or fight for the money you deserve. Contact Aitken * Aitken * Cohn today at (714) 434-1424 to schedule your free consultation. A $1,250,000 settlement for a paramedic in a rollover accident. When investigators discovered that the medical transport company and the ambulance both bore responsibility for the paramedic’s injuries, we recovered substantial compensation that allowed the paramedic to move forward with treatment and make necessary accommodations. A 70-year-old struck by an uninsured driver who received three times the initial settlement offer after working with us. This client discovered that having an attorney on her side helped her acquire compensation from her own insurance company that would help pay for her month-long stay in a skilled nursing facility. A $1,500,000 settlement for individuals severely injured in a rear-end collision. Several individuals injured in this accident received settlements that equaled the limits of the insurance policy. Aitken * Aitken * Cohn also provides valuable advice for clients in a wide range of situations. From offering advice about how to avoid common legal errors g to providing critical information about how to conduct yourself during an ongoing investigation, we want to help our clients accomplish their goals and move forward with their lives. Our past results may not guarantee our results in your case. Our experience, however, speaks for itself—and we bring that experience to all of our clients and cases. Many people choose to add long term disability insurance to their policies in an effort to provide for themselves and their families if they suffer severe injuries or illness that prevent them from working for a long period of time. Many people choose two-year, five-year, or ten-year plans, though others opt for plans that will pay out until retirement. Unlike many traditional forms of insurance, long term disability insurance doesn’t pay out one lump sum at the beginning of the claim. Instead, the policy pays out over a period of time, with payments issued as long as you remain disabled and unable to work. Muscle and bone disorders: Muscle and bone disorders, including long term back pain, can cause serious issues for many workers. Both workers with highly physical jobs and those who spend most of their days behind a desk may suffer from muscle and bone disorders that make it impossible for them to work. Spinal stenosis, joint replacement surgeries, sports injuries, fibromyalgia, and osteoporosis may all prevent workers from returning to their previous positions. Mental disorders: Not all disabilities require physical injury or limitation. While traumatic brain injury can cause a range of mental disorders, some mental disorders develop for other reasons. Severe anxiety, PTSD, or bipolar disorder, for example, may all prevent workers from returning to their usual jobs. Long term disability may help cover a patient’s inability to return to work due to a severe mental disorder. Cardiovascular problems: Recovering from a heart attack, extremely high blood pressure that remains uncontrolled, ongoing heart problems: all of these issues can cause workers to miss time at work for months, causing long term disability insurance to kick in. Many patients struggle to get their heart issues back under control. In some cases, their doctors may not permit them to return to work at all, forcing early retirement or other concessions. Cancer: Cancer often devastates patients and their families, and the financial devastation only contributes to their overall stress and worry. Thankfully, long term disability insurance can help provide for cancer patients who find themselves unable to work during treatment. Many cancer patients may remain in the hospital during treatment or for long periods of time during treatment. They may suffer weakness or disorientation that make it difficult to complete job responsibilities. Long term disability insurance can help decrease the financial impact of that lost time at work. Accidents and injuries: When most people think of long-term disability, they often imagine serious injuries. Car accidents, work-related accidents, and even sports injuries can all leave workers struggling to return to their normal tasks. Many accidents require long term physical therapy or ongoing treatment. 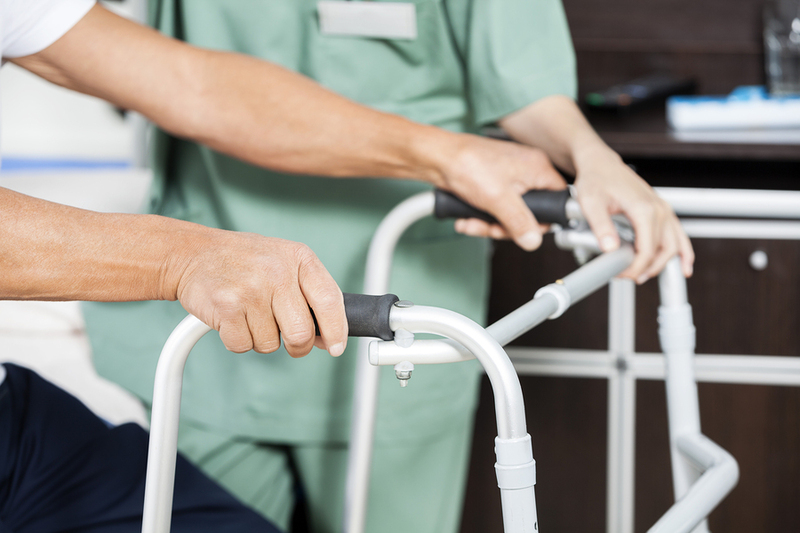 Some patients may need months or even years before they can return to work, especially if they hope to return in their former capacity. Long term disability insurance does not depend on where you suffered your injury or what type of illness you have. Unlike workers’ compensation insurance, it does not require you to have suffered an injury at work or in a work-related task. Instead, long term disability simply covers you based on your inability to return to work due to your illness or injury. Does It Matter Who Bears Fault for Your Injuries? By working with an attorney, you can better establish who bears fault for your injuries and how that impacts your ability to receive compensation. Long term disability insurance, however, will typically offer payment regardless of who bears fault for your injuries. For many victims, long term disability insurance helps fill in the gap between the time when you could work and the time when you receive a settlement for your injuries. What Does Long Term Disability Insurance Cover? Many people assume that long term disability insurance will pay for everything they need when they cannot work. In some cases, however, coverage may not extend as far as you expect—or your insurance company may attempt to deny full coverage. Working with an attorney can help you evaluate your policy and better determine what to expect. However, several common elements of your policy will help determine what your insurance will cover. Policy limits: Carefully consider what policy limits you set on your long term disability insurance. Your policy may cover two years, five years, or ten years. In some cases, policies may offer coverage until retirement. Carefully read your policy so that you understand the limits of your policy, including when it will run out. The elimination period: Many long term disability policies do not kick in immediately. Some policies kick in as soon as thirty days after your disabling event, from accident to illness. Others take 60 or 90 days to take effect. Other policies take six months to a year to start making the payments you need. Short term disability coverage: Long term disability insurance provides coverage after short term disability insurance or payments stop paying for your injuries. If you have short term disability insurance, it should not overlap with short term disability coverage. Your employment status: Does your employer provide your long term disability insurance? If so, ending your relationship with your employer—generally by quitting your job because you feel you cannot fulfill your job requirements—can prevent you from acquiring long term disability insurance. Your position within the company at the time you stop working may also impact the amount of coverage you can receive: for example, if you make a good faith effort to return to work in a lower-paid position, you may limit your future compensation. The coverage amount of the policy: Most of the time, your long term disability insurance will cover a percentage of your income. Many employer-sponsored programs, for example, cover less than half of the amount an employee would receive if they worked in their usual position. The terms of the policy may also dictate the amount of compensation you can receive based on factors like the severity of your illness or injury. Working with an attorney will often provide more insight into coverage offered by your policy. How Do Long Term Disability Insurance Companies Try to Avoid Paying? Offering lower payments than you deserve. Long term disability insurance often appears complex, and many people struggle to understand the full amount of compensation they should receive. Others may never read their policies. Insurance companies may take advantage of this lack of knowledge. Denying the claim outright. In some cases, insurance companies may deny your claim outright. They may attempt to prove that you can return to work in spite of your illness or injuries or that your illness or injuries cause fewer problems than you claim. In some cases, you may receive little explanation for a claim denial, forcing you to wait unnecessarily for the coverage you deserve. Taking advantage of your actions. In some cases, insurance companies may use your own actions against you. Did you return to work, even for a day, throughout your elimination period? Have you attempted to take on freelance projects or to complete other work actions during your elimination period? If so, you may find yourself ineligible for benefits. If you take a lower paid position within your company while waiting for your insurance to kick in, you may find that you receive lower benefits than if you had stayed out of work. In many cases, long term insurance companies will use your decision to attempt to work or to work things out with your company against you. If you must stop working due to illness or injury, you may benefit from contacting a lawyer as soon as possible. In many cases, a lawyer can provide valuable advice that will prevent you from making mistakes that could hinder the amount of compensation you can receive. This may include helping you decide whether to make a good faith effort to return to work in spite of your illness or injury, providing advice about when to terminate your relationship with your employer, or helping you avoid making key mistakes that could limit your future compensation. Working with an attorney may also significantly increase the compensation you can receive from your long term disability insurance. Don’t miss out on the full funds you deserve! You pay for long term disability insurance. When you suffer long term disability, you deserve compensation—and working with a lawyer can help maximize the funds you receive and get them in your hands faster. Do You Need a Long Term Disability Lawyer in Santa Ana? If you need to draw from your long term disability insurance policy, don’t wait to contact a lawyer who will help fight for you! At Aitken * Aitken * Cohn, we provide legal support through the entire process, from drafting your claim to fighting for the compensation you deserve in court. Contact us today at (714) 434-1424 or use our online contact form to schedule your free consultation.